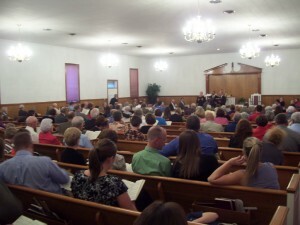 This past weekend (Septemeber 22-24) we were blessed to attend the 198th session of the Ebenezer Fellowship in middle Georgia. 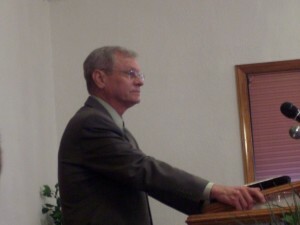 Pleasant Plains Church – pastored by Elder Garry Hall – hosted the meeting, and they chose to host the meeting in Cool Springs Church's facilities. If not mistaken, there were 9 states represented at our services during the weekend, and we truly thank the Lord that we had such an outpouring and manifestation of our friends and kindred in Christ that came to worship with us. 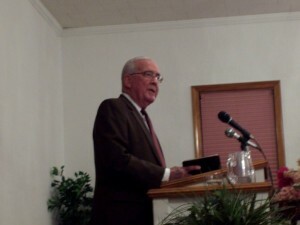 Elder Joe Nettles (Vidalia, GA) – Faith and its utilization. 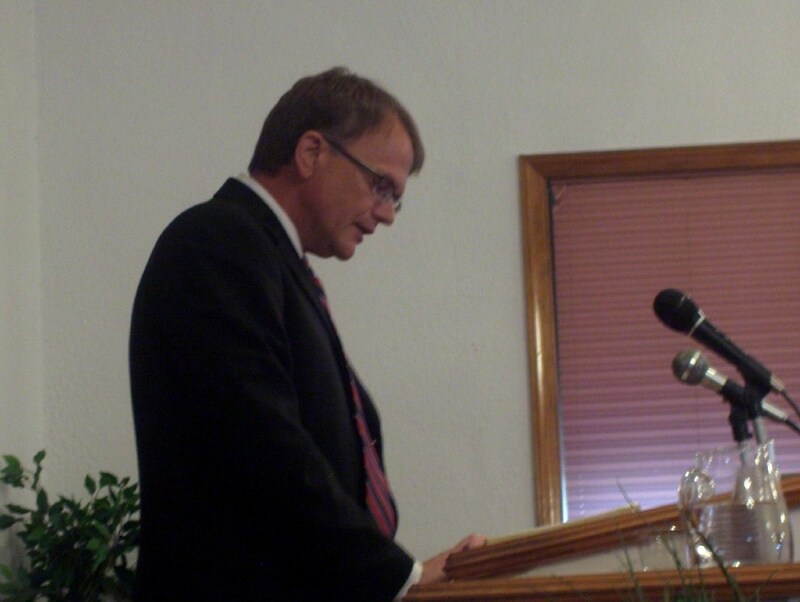 What do we do with what the Lord has given us? 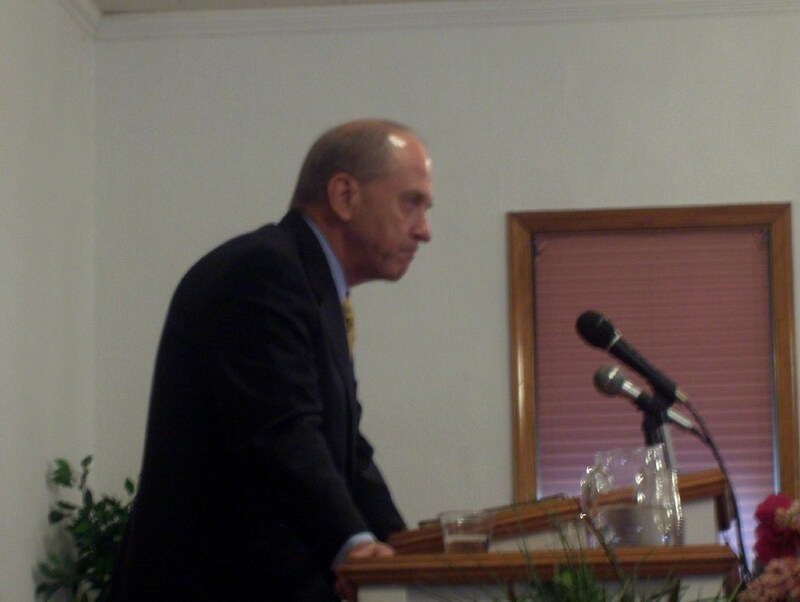 Elder Steve Woods (Ft Smith, AR) – Particular Redemption. Who are the called, and why it is so important that we understand that the called must be exactly those that Christ died for. 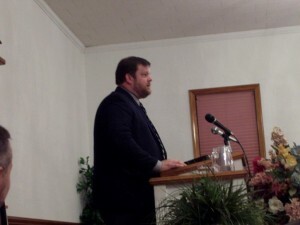 Elder Will Martin (Cartersville, GA) – II Timothy 2:9-11. The difference between life and light, and why both had to come through Jesus Christ. Elder Danny Parker (Danville, VA) – Philippians 2:5-11. Who was Christ, what did He do, and how does that thinking translate into us having His mind? 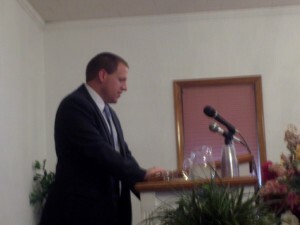 Elder Tony Lester (Starkville, MS) – I Corinthians 2:2. When we know nothing save Jesus Christ and Him crucified, what exactly does that name and that work connotate in our minds? Elder Craig Lanier (Metter, GA) – Judges 6-9. The life of Gideon and his family, with the culmination being Jotham's parable of the trees and how that parable affects us and our families today. 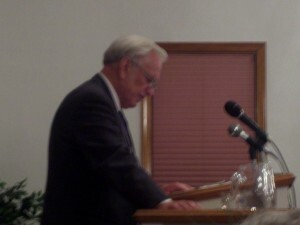 Elder Harold Hunt (Maryville, TN) – Luke 17:10 and unprofitable servants. 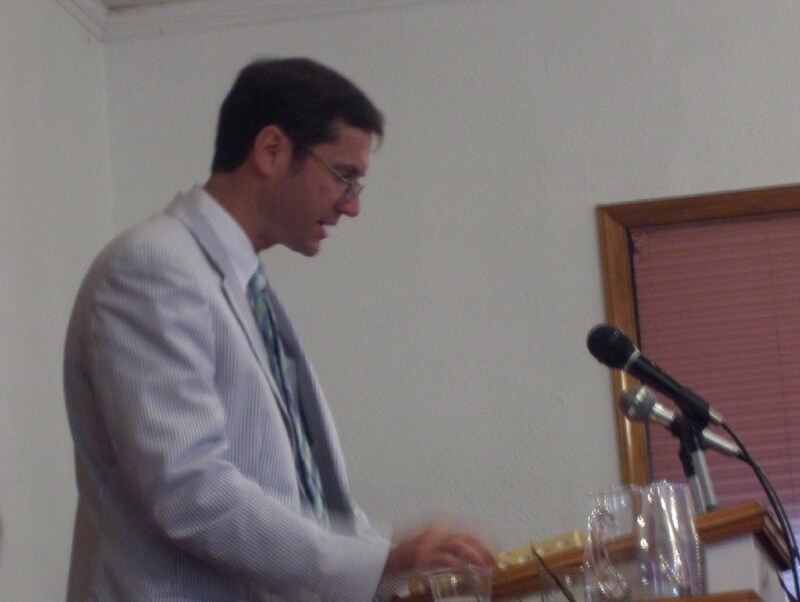 What does grace and its knowledge do to our experiences? 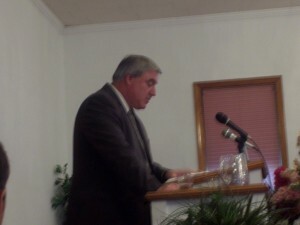 Elder Sam Bryant (Birmingham, AL) – Philippians 3:1-14. What is profitable and what is not, and why certain things are worth forgetting and others are worth holding on to. 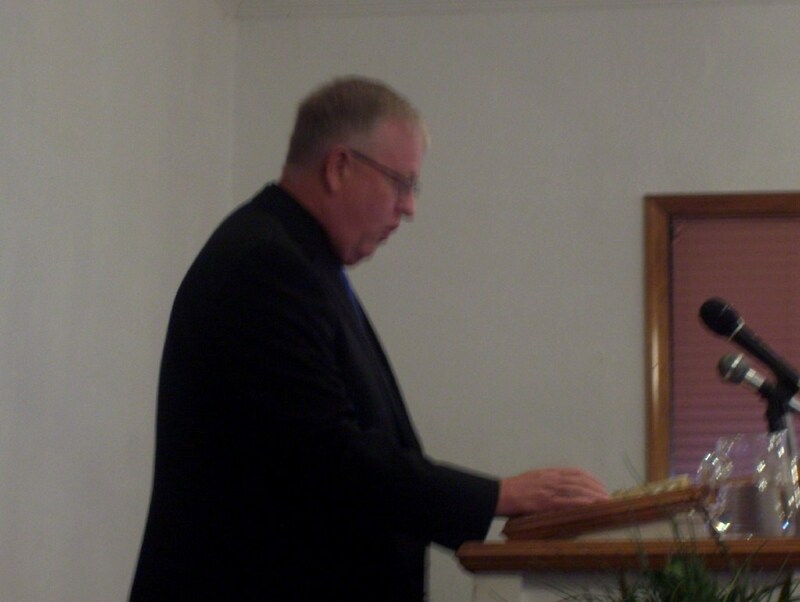 Elder Tracy Fredrickson (Stockton, CA) – God is able. 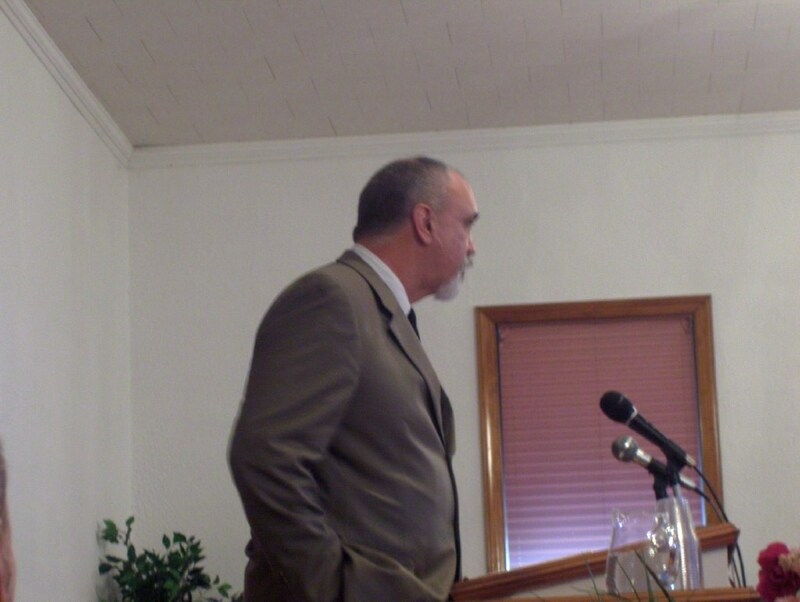 Spoke about the ability of God to save from the fires of life (Daniel 3), fulfill and perform the promises made (Romans 4), and save to the uttermost (Hebrews 7). Elder David Montgomery (San Antonio, TX) – Psalm 139 and God's wonderful and amazing ways toward us. 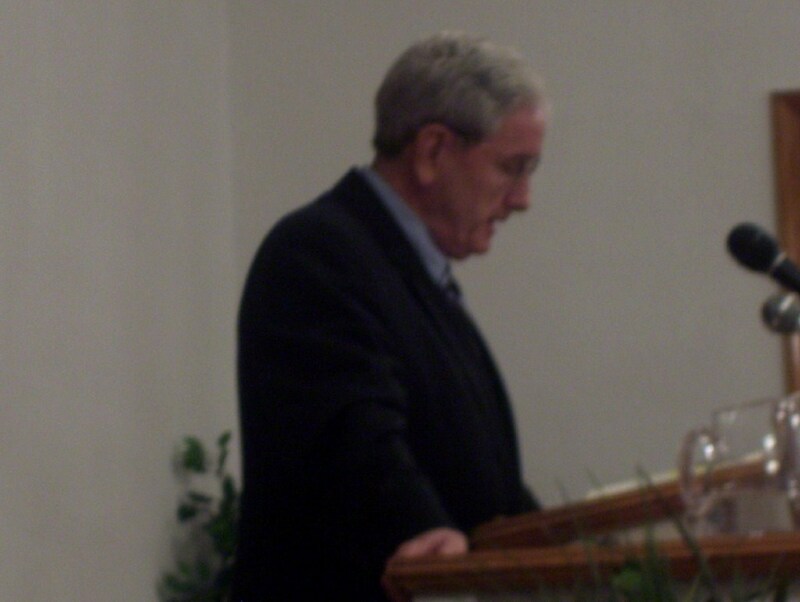 Spoke of the power and infinite ways of God toward us in our lives and into eternity. Elder Ronald Lawrence (Nashville, TN) – temptation of Christ in the wilderness with the wild beasts and angels. Spoke of God's power over natural creation in the beasts and even in angelic servants themselves. The meeting was one that seemed to build and get better and better. By meetings' end, many tears of joy for the power of the meeting and sadness over its conclusion were shed. 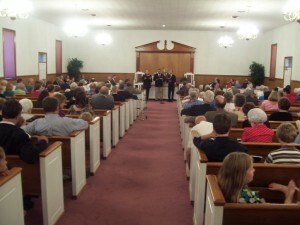 The fellowship between the brethren was particularly high. If not mistaken, other than the 8 Ebenezer Fellowship churches, over 15 different churches were represented throughout the weekend. 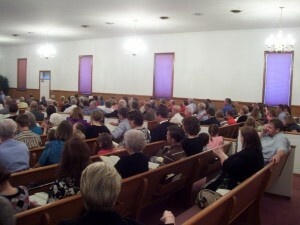 Several commented that both the congregation size and manifestation of the Spirit seemed higher than in previous years. We thank the Lord for His mercy unto us, our brethren for coming to visit with us, and our home folks for being such willing hosts in their service and joy to the Lord. Already I have heard of those praying for the meeting next year, and do hope that those that have an interest in coming will make plans to come this direction. If not, I do hope that all have an interest in praying for this area. We feel strengthened in the bonds of love to serve Him a little more fervently than before and depend upon Him a little more faithfully than in the past. The sermons have all been posted to the Cool Springs website at: http://coolspringspbc.org/ for those that are interested in listening to the efforts of the meeting. To listen to these efforts, please click here.